Well, we are blessed by so many things! God has opened up so many new doors and one is moving from California back to the south! My sweet husband is retiring and we are on the midnight train to Georgia! After being gone for almost 20 years I am tickled pink to be back in the South and only 5 minutes from my Momma! 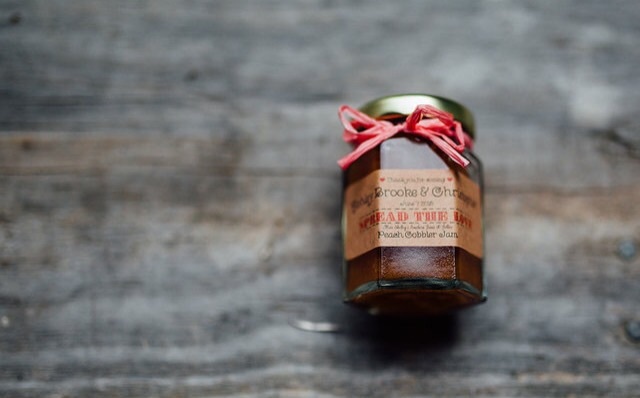 Each of our mini jars come with a personalized label and your choice colored raffia ribbon. These sweet treats are lip smacking and will make you the belle of the ball. We are honored to share a small part in so many celebrations and look forward to what new adventures are coming our way! I am one happy girl to be back in the south and love living close to my mother after being so many miles away. With all of my family so close we look forward to spending many precious celebrations! God is amazing when you seek His wisdom in making choices for your life. We never knew how sweet it would be to start a new adventure but He did!